With the weather warming up (finally!) I know we'll be spending a lot more time outside. My toddler would spend all day outside if she could, running crazy through the park, swinging, and doing other silly toddler things. I know many parents worry, though: Is all that exposure to the sun safe? It is — but only if your child is protected from the sun’s skin-damaging rays. Damage from the sun adds up over a person’s entire lifetime, but a lot of the sun damage comes from exposure during childhood. The more sunburns your toddler gets as a child, the greater her risk of skin cancer later on. That's why it's extremely important to establish good sun-safe habits early on. 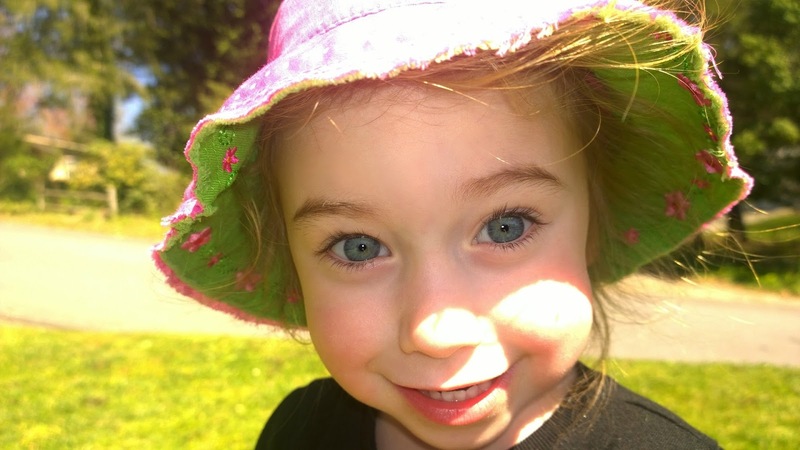 Choosing the right sunscreen is important when it comes to keeping little ones safe in the sun. Choose a broad-spectrum sunscreen that blocks both UVA and UVB rays for the best protection, without harsh chemicals that could irritate sensitive skin, and that offers water and/or sweat protection. An SPF of at least 15 is optimal. UV rays are the strongest between noon and around 2pm, and can cause the most damage. Avoiding direct sunlight during these hours is best - try finding a nice shade tree, hang out under an umbrella, or let them play in a pop-up tent. Light-colored clothing and loosely woven fabrics allow the most UV rays through. Your best bet is to dress your little ones in darker clothing, thicker fabrics, or sun-protective clothes that have the SPF built right into the fabric. Find a hat that shades their face, scalp, ears, and neck. A bucket hat gives great protection for little ones. 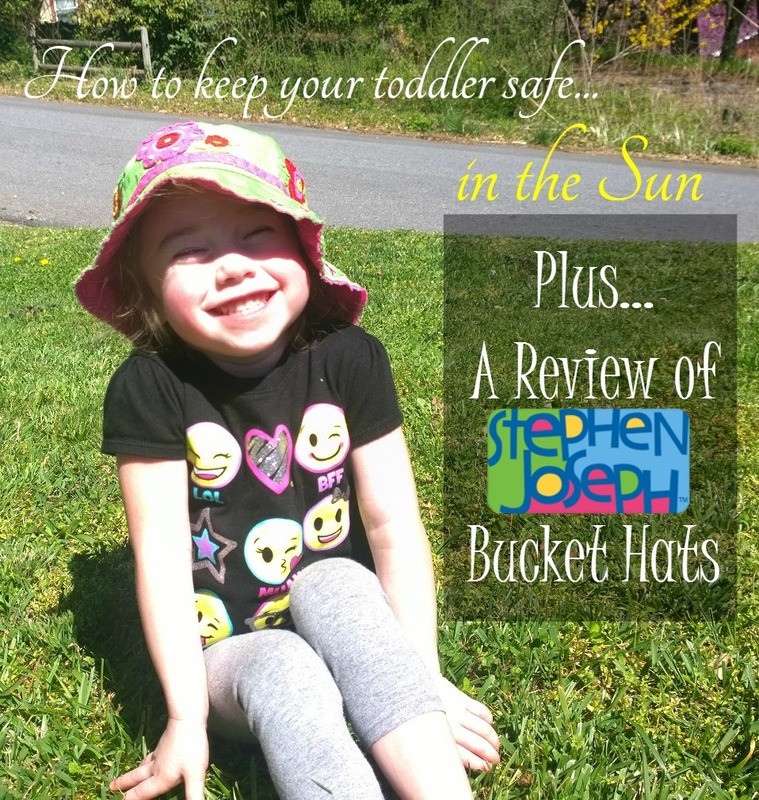 I recently worked with Stephen Joseph for a review of their toddler bucket hats. Stephen Joseph Gifts offers tons of adorable things for little ones like backpacks and umbrellas, but their bucket hats are some of the cutest things I have ever seen. We got the Flower pattern hat, and Kaya just looks so stinkin' adorable in it. The wide brim keeps the sun out of her eyes and off of her face and neck, and the heavier fabric keeps the damaging rays from penetrating through to her scalp. These hats are made from 100% cotton and have a lining with a coordinating fabric - which Kaya takes to mean that the hat can be worn inside out because she's a fashionista rule-breaker like that. Bucket hats are also available at Hopscotch. You can use these coupons from hopscotch to get a discount. Disclosure: I received a sample for review, but my opinions were not affected in any way. How do you keep your little ones safe in the sun?